Published on March 29, 2018 in Gender and General T&T. 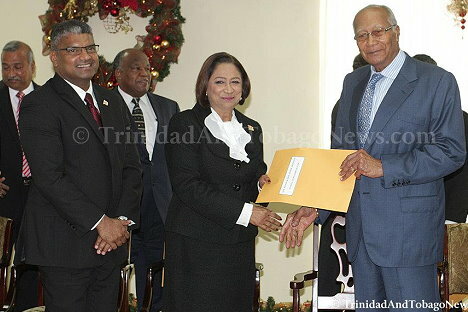 3 Comments Tags: President, President Paula-Mae Weekes, Raffique Shah, T&T Govt. I was writing last week’s column when Madam Justice Paula-Mae Weekes’s inauguration as President of the Republic was underway at the Queen’s Park Savannah, so I missed out on most of the pomp and pageantry. No disrespect was intended: President Paula (well, we did have President Max) will understand my absence, what with a deadline to meet, and with Parkinson’s affecting the pace at which I write, though not the speed at which I think or the sharpness of my memory and mind. Published on March 20, 2018 in General T&T and Politics. 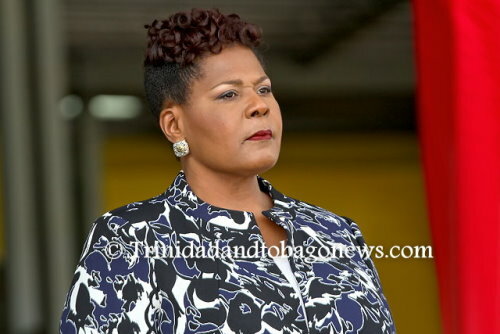 3 Comments Tags: Paula Mae Weekes, President, T&T Govt. Published on January 24, 2018 in General T&T, PNM and UNC. 4 Comments Tags: Max Richards, Paula Mae Weekes, Politics, President, Raffique Shah, T&T Govt. The passing of former President Max Richards, coinciding as it did with the unanimous vote by parliamentarians to elect retired Justice Paula Mae Weekes as the first female and new President of the Republic, seems to have triggered a measure of hope among some citizens that the nation can be rescued from its downhill slide by the eminence of the Head of State. Published on July 5, 2015 in General T&T, Integrity Commission, Law, Media and Politics. 11 Comments Tags: Anthony Carmona, Politics, President. The problem is that members of the public might have been so distracted by the President’s rumshop reference—a terse dismissal of their questions and concerns—that crucial aspects of his statement might have been lost. President Anthony Carmona’s reference to “rumshop logic” in describing citizens’ comments about the latest fallouts from the Integrity Commission is unfortunate. Not only did it defeat what was an otherwise laudable attempt to bring clarity to an issue that has long been a focus of national concern and debate, it has also reinforced recent negative perceptions of that agency. The President was well within his rights to deal with the matter at length—he was, after all the focus of much of the criticisms following the latest implosion of that august body. Unfortunately, his choice of words and his condescending tone served to alienate rather then enlighten. Published on November 7, 2014 in General T&T. 7 Comments Tags: Abuse, Anthony Carmona, Martin Daly, Politics, President, Reginald Dumas, T&T Govt. Senior counsel Martin Daly has questioned the legal basis on which the Chief Personnel Officer granted approval for the payment of a tax-free $28,000 housing allowance for President Anthony Carmona. And former head of the Public Service Reginald Dumas stated yesterday that it would be “ethically reprehensible” if President Carmona is indeed living in State-provided accommodation, while at the same time receiving a housing allowance. Published on October 26, 2014 in General T&T, Law and Media. 46 Comments Tags: Anthony Carmona, President, Raffique Shah. President Anthony Thomas Aquinas Carmona, to give the man his full handle as Prime Minister Kamla Persad-Bissessar never tires of doing, is convinced that my fellow columnists and I are “bulldogs in a ring”, uncouth, devoid of intellect, stuck in the “same ole, same ole” mode, and engaged in self-aggrandisement and worse. Published on January 6, 2013 in General T&T, Media, Opposition Party, Parliament, People's Partnership and Politics. 4 Comments Tags: George Maxwell Richards, Karl Hudson-Phillips, Kenneth Lalla, Newsday, President, Wade Mark. There will be much speculation until next month as to the identity of the government’s nominee for the next president of Trinidad and Tobago. 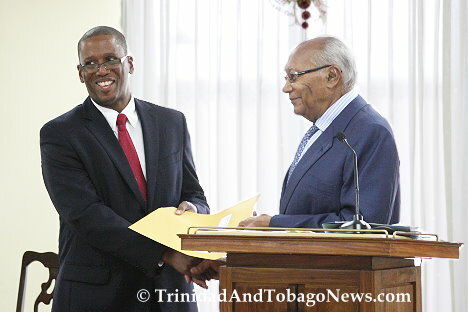 With a nomination deadline of February 5, a new president will be elected on February 15 ahead of the March 17 end of the five-year term of President George Maxwell Richards. Published on January 9, 2012 in General T&T, Law, People's Partnership and Politics. 8 Comments Tags: Anand Ramlogan, Arthur NR Robinson, Attorney General, George Maxwell Richards, Ivor Archie, Kamla Persad-Bissessar, Karl Hudson-Phillips, Martin Daly, Michael de la Bastide, Michael Harris, Politics, President, Ramesh Lawrence Maharaj, Senior Counsel, T&T Govt, Terrence Farrell. What is the difference between a silkworm and a maggot? This is the question which popped into my head as I reflected on the current controversy which has erupted over the recent appointment of senior counsel. Frankly I did not think that there was anything salient which could be added to the debate after the cogent and comprehensive submissions made by Messrs Hudson-Phillips SC and former CJ Michael de la Bastide. I changed my mind, however, after reading the brilliantly lucid summation of the issues presented by Terrence Farrell in his article in the Express on January 5. It often happens that a particularly lucid exposition on any topic can serve to excite new and additional insights which help to develop the issue further. Published on January 5, 2012 in Court, General T&T, Law, Media, People's Partnership, PNM and Politics. 3 Comments Tags: Anand Ramlogan, Arthur NR Robinson, Attorney General, Clinton Bernard, George Maxwell Richards, Israel Khan, Kamla Persad-Bissessar, Karl Hudson-Phillips, Keith Rowley, Politics, President, Senior Counsel, T&T Govt. Attorney General Anand Ramlogan cannot really be faulted in awarding silk to two sitting judges because there was precedence in the matter. That view on the controversial matter was given by Israel Khan SC yesterday. “When it was first announced I didn’t give it much serious thought because there was precedence for a chief justice to take silk,” he said. Khan recalled that former chief justice Clinton Bernard was awarded silk in 1988 by the attorney general of then National Alliance for Reconstruction (NAR) government.